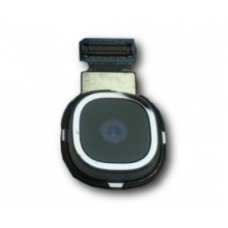 This is a replacement rear camera for Samsung Galaxy S4 GT-I9505. If your camera is failing to initialise or visual errors appear on your photos or videos, this usually indicates a faulty S4 camera module, replacing your camera usually resolves these issues. If you are not confident with fitting this S4 spare part yourself, just follow the link below and order the in-house Samsung S4 camera repair service. Please note this replacement camera is only suitable for the S4 GT-I9505. * Part Numbers: FS3713PA / b02460.